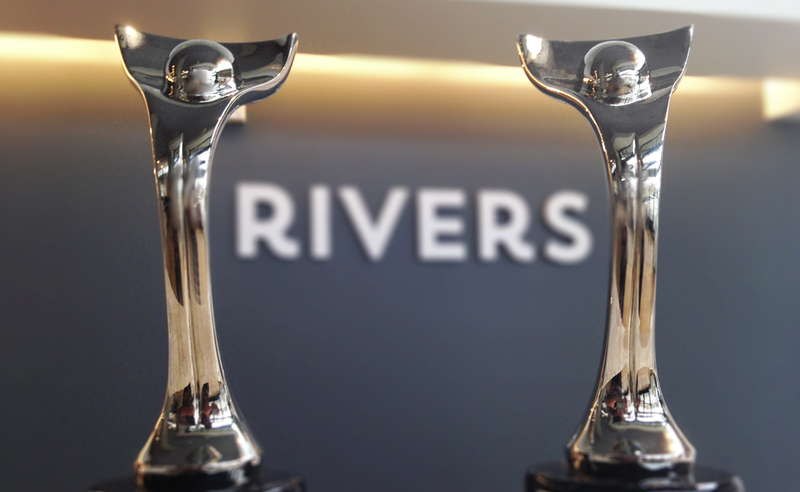 This has been a busy awards year for Rivers Agency. In addition to the recent W3 Gold Award, we also just won two prestigious Davey Awards for our creative design work on the CreeBulb.com and FoodLogiq.com websites. The annual International Davey Awards is the largest and most prestigious awards competition for small but ambitious advertising agencies like ours that derive their strength from fresh ideas rather than big budgets. The program honors the best web, design, video, advertising and mobile achievements of small agencies worldwide. The competition is sanctioned and judged by the Academy of Interactive & Visual Arts, and entries are judged by a group of top-tier professionals from a “Who’s Who” of acclaimed media, advertising and marketing firms. Our first Davey Award this year, a Silver, was for our work on the CreeBulb.com website. CreeBulb.com is a rich web resource for consumers that communicates Cree’s unique story, purpose and vision of sparking evolution in the lighting industry. In addition to enhancing the site’s product information, search features and connections with social and news resources, we developed a ground-breaking online savings calculator that helps U.S. consumers estimate how much money they can save by switching to Cree® LED Bulbs. For FoodLogiq.com — our second Silver Davey Award winner this year — Chapel Hill, N.C.-based Rivers Agency conducted a complete website redesign and upgrade. The new design reworked the site’s information architecture to help visitors navigate more easily and added new content, including a popular blog about food safety. In addition, we updated the design and messaging of the entire site to better reflect FoodLogiq’s key brand strengths of innovation, green-mindedness and progressiveness. We are proud of our accomplishments and thank the Academy of Interactive & Visual Arts for our latest awards, as they reflect our unique strengths in creating engaging designs, developing multi-faceted approaches and conceiving innovative and powerful ideas. Our peers in the design community agree: We’re kind of a big deal. Go team Rivers. Lots of love from Australia. You are a big deal! So proud of all that you have accomplished. Talented and gifted team deservedly recognized!! I am privileged to be their client. Awesome job! Love these sites. Looking forward to the awards next year!